Last weekend Kiss Me celebrated their 10th anniversary roadshow in Publika. Being a fan of Kiss Me, I decided to drop by to check out after having lunch at my favourite lunch place Go Noodle because I remembered seeing that there are lots of promotions going on for Kiss Me products and there will be LIVE Make-Up show by a Japanese make up artist. 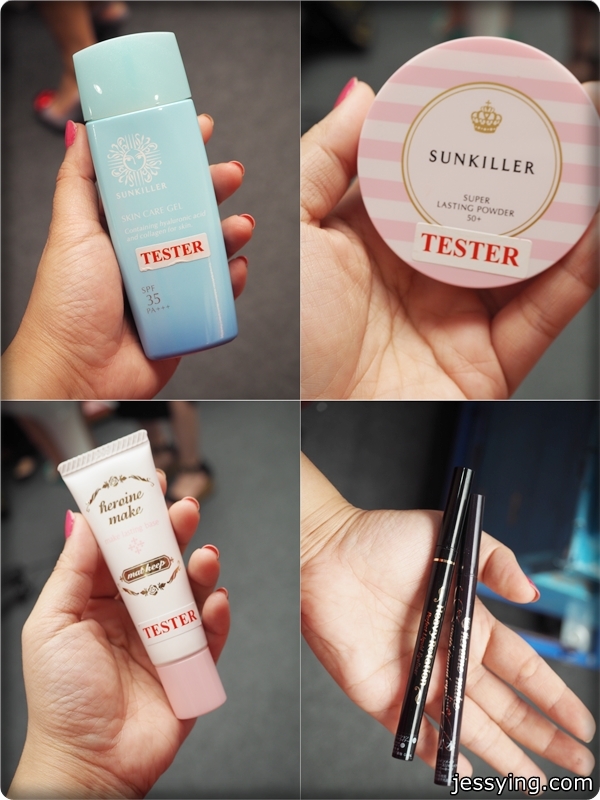 So I went around to check out some Kiss Me makeup and found they have recently launched some new makeup products! Kiss Me Heavy Rotation Eye Designer Eye Shadow Liner (RM39.90) that can works as eye liner and eyes shadow by blending with our finger. Comes in 2 shade ; Hazel Brown and Shiny Gold. Kiss Me Make Jewelry Eye Colour (RM49.90) comes with 4 shades. The texture is very fine and shimmering. The colours are really nice and suits all skin tone. Kiss Me Heavy Rotation Face Colour Palette in Doll Color and Fresh Colour (RM39.90). This is the all in one palette you need for your face ; blusher, highlighter and bronzer. Very compact and easy to use! Kiss Me Heroine Make Smooth Liquid Eyeliner & Kiss Me Heavy Rotation Perfect Liquid Eyeliner (RM49.90 each) - not exactly new product but they have have new packaging! The real reason why I'm there for the roadshow is to watch live makeup demonstration by Sayuri Igarashi a makeup artist flown all the way from Japan besides checking out Kiss Me makeup range! I remembered I saw her in one of the previous Kiss Me roadshow back in 2012. Sayuri is really friendly and provide lots of helpful tips during demonstration. As you can see , she is using Kiss Me Heavy Rotation Eye Designer Eye Shadow Liner and drew an inward V shape at the corner of the eyes before she starts to blend that evenly. After that she drew a thin line close to the eyelashes using the shadow liner before layering it with Kiss Me Heroine Make Smooth Liquid Eyeliner. Love how Kiss Me Heavy Rotation Eye Designer Eye Shadow Liner is so easy to blend. Model's eyes makeup by Sayuri is so pretty! And Sayuri Igarashi demostrated the latest makeup trend from Japan, where now in Japan girls put their blusher just below their eye bag. 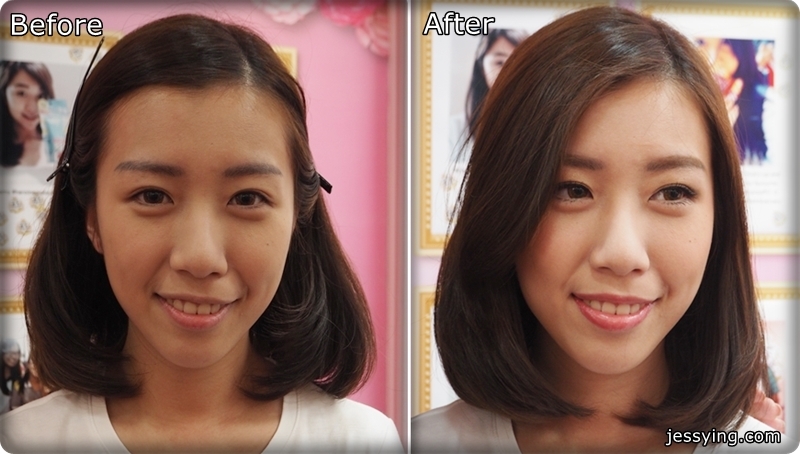 The before & after makeup by Sayuri Igarashi. Love how the model makeup looks natural and pretty. Sayuri also shared with us that compared to year 2013 and 2014, the makeup trend this year in Japan is to looking natural and no makeup look! Me & Sayuri Igarashi! So happy to meet her back after so many years! 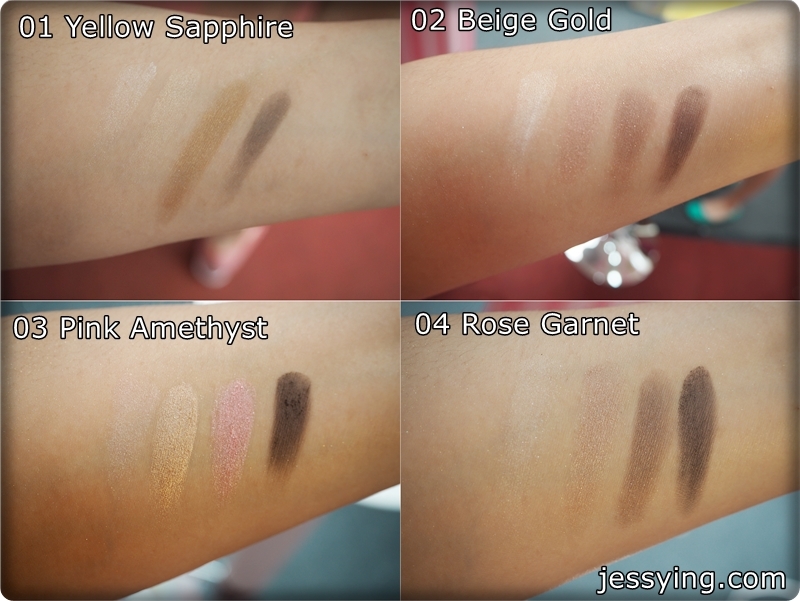 Here is my makeup looks using Kiss Me products <3 I love the Kiss Me Make Jewelry Eye Colour eyehadow in Pink Amethyst very much! It was a well spent Sunday playing with beauty stuffs! Oh yay I won some goodies from answering from the Q&A by the emcee! Before I forgot I want to wish Happy 10th Anniversary Kiss Me, please continue to beautify us ya! Kiss kiss to you all for reading this too! BTW, Kiss Me products are available at Sasa and selected Watsons stores.